A Shepherd's Heart: Spontaneous Baptisms @ Elevation Church? I currently serve at a church where we baptize people pretty much every weekend as we keep the baptism and the water in it warm and ready to use as people take this awesome step of obedience. We take baptisms very seriously as it's one of the two major ordinances that Jesus Himself instituted. 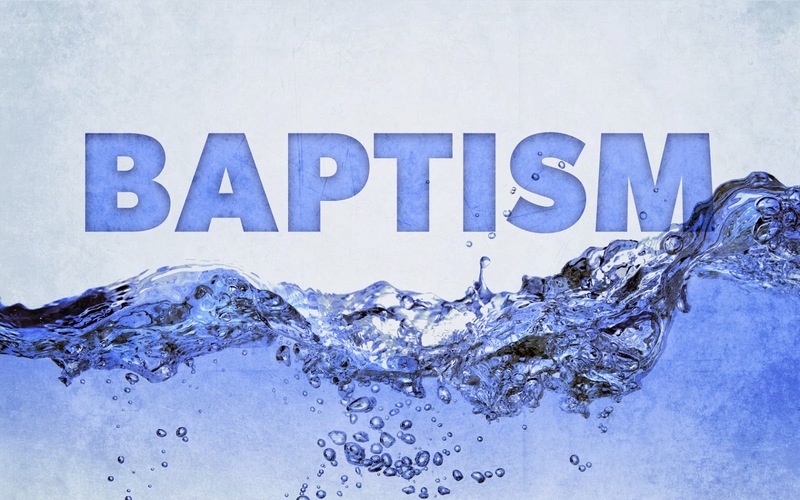 There's accountability for those who do the baptizing as they need to understand if that person has repented and confessed that Jesus Christ is their savior and that they are being baptized as a step of obedience. In a practical sense there's also accountability for the one being baptized as they need to take this step for the right reasons. I can't imagine that we'd "fake it" by planting people to respond so others will hopefully respond. We simply let people know at the beginning and end of service that if they want to take this step of obedience that we'd be happy to help them to take this step. Baptism is an important step of obedience for the individual(s) life and walk with the Lord. Spontaneous baptism is possible as long as it's in response to the truth of God's Word and in response to the Spirit's leading and not simply an emotional response to that moment - don't get me wrong, unless you don't have a pulse there are true emotions going on when you are being baptized as it's a truly awesome moment / milestone in the life a follower of Christ! ...you just shouldn't take this step based only on emotions. Emotions are temporal but God's Word isn't and responding to Him shouldn't be relegated to only an emotional response. Don't get me wrong, there are true and multiple emotions going on once you make that decision... in this case to be baptized (and during the baptism), however, we should respond to God based on what the truth of His Word says and through the leading or the conviction of the Holy Spirit to do something in obedience that He wants us to do...basically we should respond to the truth. Obedience is Obedience regardless of emotions or feelings...and we are to walk in obedience regardless of how we're feeling or how our emotions are up or down that specific moment. Specifically with the topic of baptism, (as this article is about this) my fear is that if churches get people hyped up to be baptized, (not that it's not exiting) or respond to this through drumming up emotions, they could be responding for the wrong reasons. Baptism as well as Communion are sacred invitations and remembrances and not an event to just "check off the box" so to speak. So, we shouldn't take it lightly. In sum, In my humble opinion, the decision to be baptized should be made as a genuine response out of obedience.